I had the pleasure of attending and presenting a paper at the 2016 National Conference of AGAC (the Australian Guardianship and Administration Council) in Sydney on 17 October 2016. The theme of the conference is Reflecting Will and Preference in Decision Making. The theme was chosen to advance the alignment of national guardianship laws and practices with the United Nations Conventions on the Rights of Persons with Disabilities. This is an important issue in NSW as elsewhere. It is particularly pertinent as, since early 2016, the NSW Law Reform Commission has been reviewing the desirability of changes to the Guardianship Act 1987. The conference is co-hosted by AGAC, the Guardianship Division of the NSW Civil and Administrative Tribunal, the Public Guardian and NSW Trustee & Guardian. The Keynote speaker on the second day of the conference, 17 October 2016, is Prof Ros Croucher AM. Professor Croucher is President of the Australian Law Reform Commission. In February ALRC was commissioned to report on ‘Protecting the Rights of Older Australians from Abuse’. The Commission’s Issues Paper was released on 15 June 2016. The ALRC anticipates releasing a Discussion Paper in November this year, and to publish its Final Report in May 2017. Professor Croucher’s topic is Modelling supported decision making in Commonwealth laws – the ALRC’s 2014 report and making it work. My paper is titled Elder Abuse – The preventative role a solicitor can play. There is something like 50 other sessions available over the two day conference. 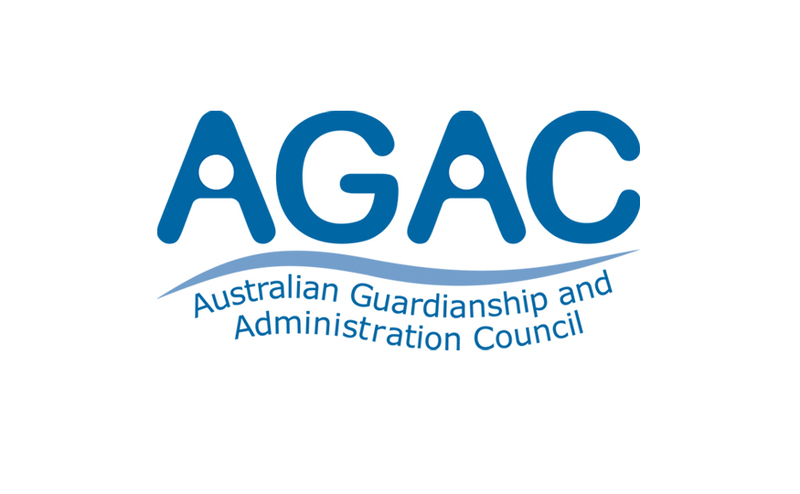 AGAC is a national organisation which gives an Australian wide forum to State and Territory organisations involved in protecting adults who have a decision-making disability that impairs their capacity to make personal or financial decisions. An aim is to promote the best interests of persons with a decision-making disability and to protect them from abuse, neglect or exploitation. One way to do that is to develop Australia-wide consistency and uniformity in respect to significant issues and practices. I’m a Councillor of the Law Society of NSW. I Chair of the Law Society’s Ethics Committee. I’m Deputy Chair of the Elder Law and Succession Committee. I’m a member of the Specialist Accreditation Board, the Futures Committee and the Nominations Committee, the Working Group on Future Prospects for Young Graduates and the Working Group on Elder Abuse. I’m also a member of the LCA’s Elder Law and Succession Committee and its Working Group on Elder Abuse. I facilitate the Law Society’s online Wills and Probate Procedures for Solicitors. I designed and present the Law Society’s Masterclass on Powers of Attorney. The views expressed in this article are my own. “Informal Arrangement – And the hurdles they pose for enforcement when challenged” – Law Society Journal Article My affinity with Banjo Paterson When open justice is closed 15 June 2016 is World Elder Abuse Awareness Day  Homemade wills and will-kits: Are you serious?